This article is written base on a beta version at Gamescom 2014. The game options are quite extensive and I did not write everyting down but concentrated mostly on the new stuff. Unfortunately there’s no option to turn off the lessons/tips but we were told we can turn them off through Origin. In graphics there’s quite a few things you can set to different levels. Auto Age (unplayed Sims): Yes/No –> A Sim becomes played if a household was active at one time. Traditional Social Menu –> Allows the social interaction menu to be sorted by groups and not by relevance. The new menu does have both options though since you can simply click on the MORE button to get the interactions sorted by groups. Fill empty houses –> Automatically fills empty houses with new Sims. Sims 3 camera –> There are two different ways to work with the camera. 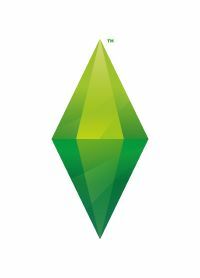 This enables Sims 3 mode. Mods – Pop-Up Windows which shows you installed script and non-script mod. There’s also option for Audio, Video and Music but I didn’t really look at those.